Aberlady primary are donating money this year to the sick kids foundation. So we are having a silly sock day on Friday the 18th of November. It is dress down on Friday but remember to wear SILLY SOCKS too! Please bring a donation for the sick kids! After school on Friday there will be a bake sale so REMEMBER a little bit of money!!!! The bake sale is being prepared by some mums. Please bring in items that you’d like to donate by Thursday 27th October. Don’t forget that we will be having our ‘3 Hour Power’ to raise funds for Sport Relief this Friday. Every class will run/jog/walk their normal 15 minutes twice during the day. Our aim is to make sure that we have a group moving at all times. Even at break time the charity committee will keep the baton going! We will finish the event with a whole school walking sing-along around the school. Pupils can come to school wearing sporty clothing. It was also decided that they can wear an accessory that shows their favourite sport e.g. tennis skirt, hockey socks, swimming goggles (no team strips or sports equipment, please). 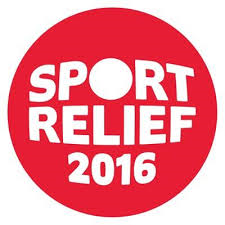 Voluntary donations for Sport Relief will be collected in the morning by class teachers. A huge ‘Thank You’ to everyone who contributed to two recent charity events at Aberlady Primary School. Firstly, we raised over £1,400 during our Health Week Skipathon. The majority has been sent off to The British Heart Foundation, and our school receives an amount which we will spend on new resources. Secondly, we raised over £280 for last Friday’s record-breaking Children In Need appeal. Thanks again, to everyone for their effort and generosity. Wonderful achievements, we think you will agree! Our Charity Committee have decided not to have our usual walk round the village this year to raise funds for Children in Need as we have very recently completed the Skipathon for British Heart Foundation, as well as collecting items for Syrian children and Samaritans Purse Shoebox appeal. We will therefore make Friday a “Dress Down Day” and children can bring a donation if they wish to take part. Lessons will be as normal.